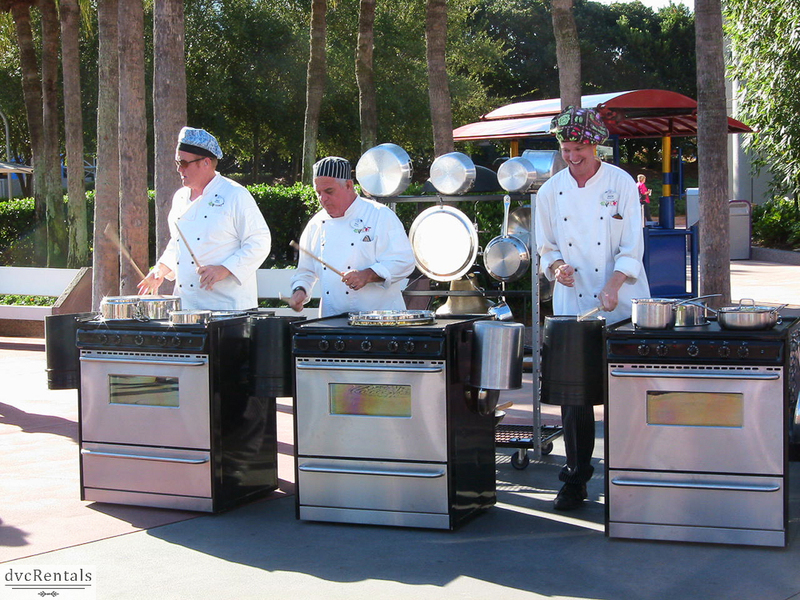 This year’s Epcot International Food & Wine Festival at Epcot marks the 26th anniversary of this very popular event. 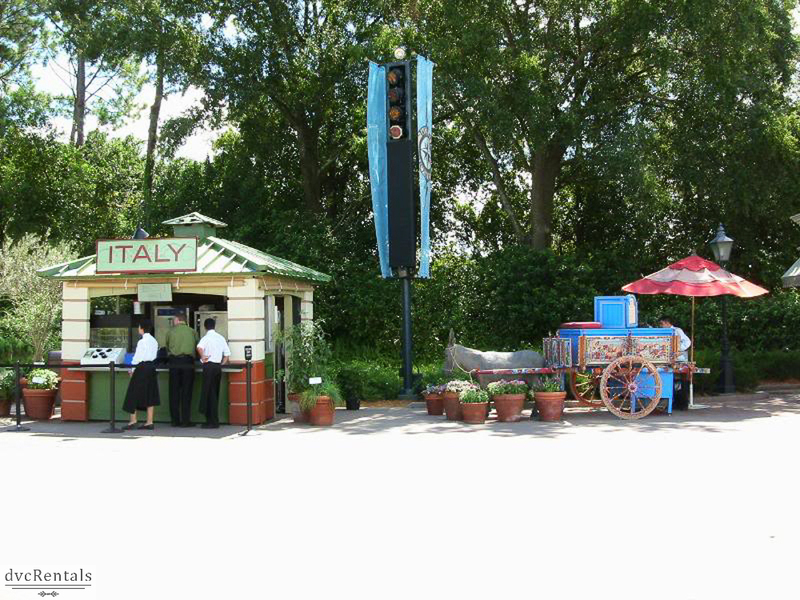 I am not going to go into details, as the majority of readers know that this is a time Epcot has food booths all around World Showcase, as well other food and wine related events. 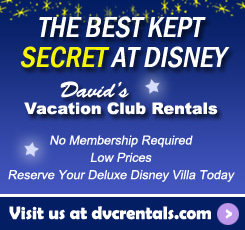 Most Disney Vacation Club members know that if they want to stay at an Epcot resort (Boardwalk Villas or Beach Club Villas) during the Festival they need to book as far in advance as possible if they want to be sure to get a room. The resorts you can walk to that are closest to the Festival fill up fast. 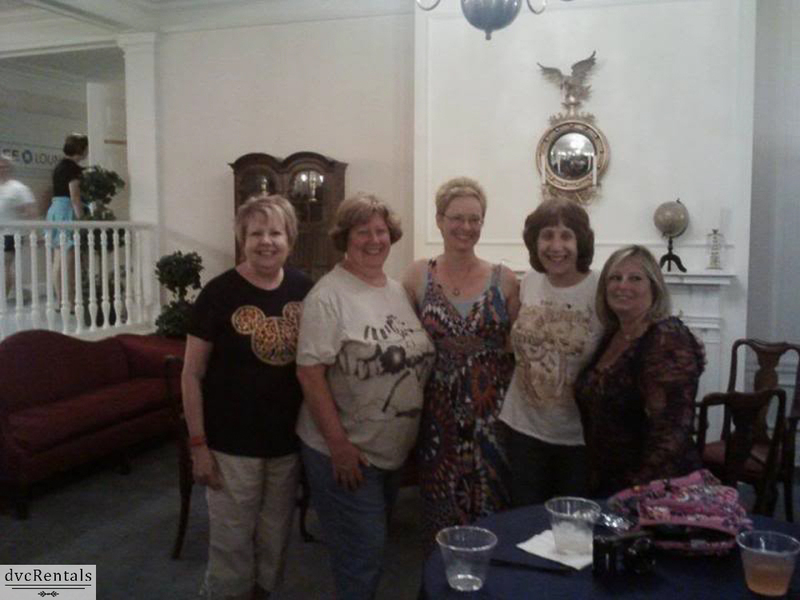 I have attended every Food & Wine Festival since 2004, as well as a few prior to that. Many things have changed over the years, and it’s a treat to see new and different cuisines and events added. However, a number of favorites have remained the same, much to the delight of returnees hoping for more of something they had enjoyed previously. I’d like to share some tips I have learned over the years in hopes of making your experience as enjoyable as possible. To begin with, as mentioned in the first paragraph, it’s really nice to stay at an Epcot resort during the run of the festival time. 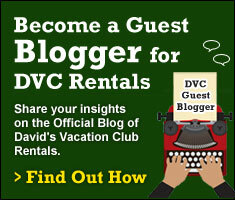 For DVC members and renters, book as close to the 11-month window as possible if you want to stay at Beach Club or Boardwalk. Book any special events as soon as they become available to book. The most sought out events, such as the Party for the Senses, sell out very quickly. Go online BEFORE you go to the Festival and check out all there is to do. I could write a ten-page blog and still not cover all the special events (cooking demonstrations, concerts, food tastings). See what’s available and find events that are important to you. If anything requires advance booking, do it ASAP (see #2 above). Be careful with your money. It’s very easy to go around the food booths and spend way more than you think you’re spending. You can easily drop $50 on food and wine in a very short time. That’s one of the reasons I suggest you go online ahead of time and see what is available. This way you can be sure to spend your money on what you really want instead of on impulse – well at least you might spend less that way. 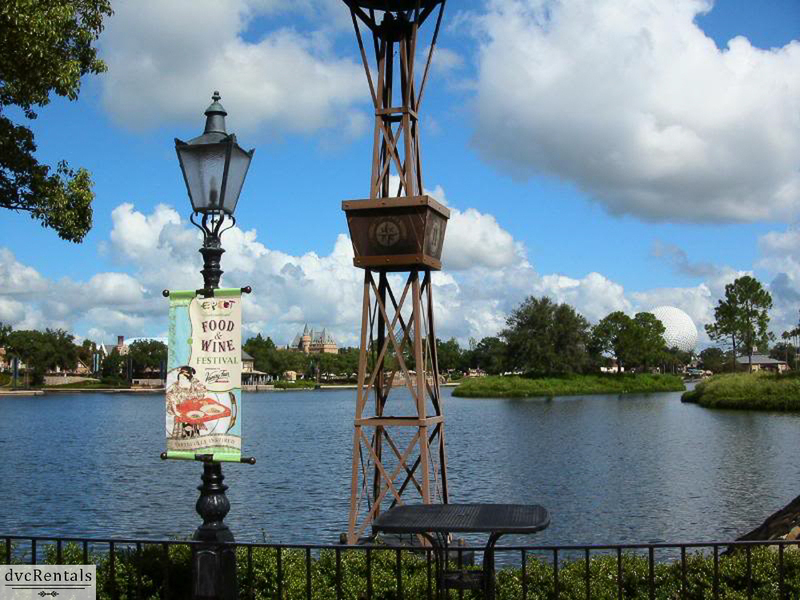 Do you have the Disney Dining Plan? 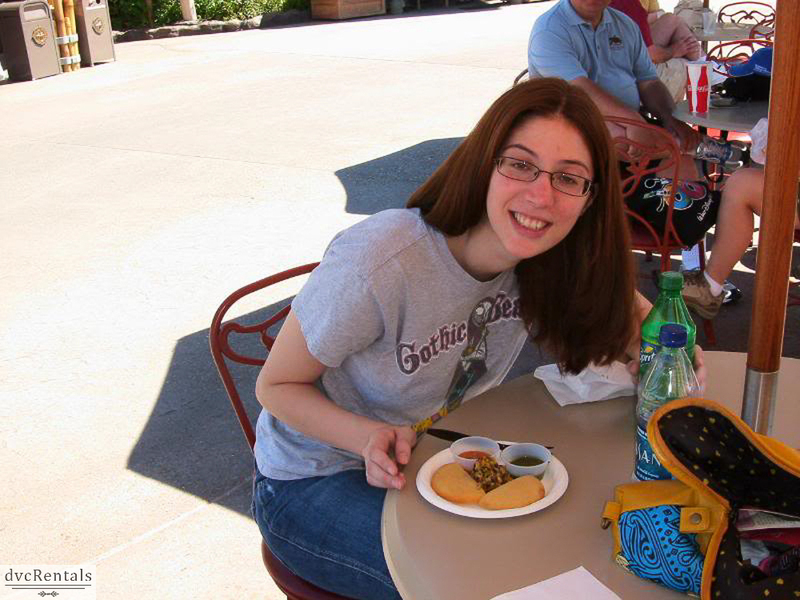 Check to be sure the rules have not changed in 2016, but in prior years they accepted snack credits for many of the dishes you will find at the food kiosks that line World Showcase. If at all possible, avoid going to Food & Wine on weekends or evenings, but especially evenings on the weekends. The lines at the food booths are shortest during the day, longer in the evening on a weekday, and at times interminable on a weekend evening. Likewise, crowds will be around the World Showcase. If you’re a Chase Visa Card holder (it does not have to be a Disney Chase card), you and up to 9 guests are eligible to enter the Chase Lounge at the American Adventure for free. There are multiple soft drinks, cell phone charge stations, a couple of video games, and a nice view of Spaceship Earth from the windows of the lounge. There are chairs and tables, but unless they added some this year the seating is limited. Generally, there is either no wait or very little wait to get in. The exception is just following an Eat to the Beat Concert (see below). The crowd leaving the show often heads right across the way to the Chase Lounge and the wait can be a bit long then. The atmosphere is very nice, themed much like the rest of the American Adventure building, very colonial looking. The lounge is open the same hours as World Showcase, from 11AM until park closing. Eat to the Beat Concert Series is offered daily, with over 30 different artists performing during the Festival. Some are returning and a few are new this year. Performances are at 5:30, 6:45 and 8:00 at the America Gardens Theater (opposite the American Adventure). There are no Fast Passes available for these shows. However, dining packages are available which will ensure you have reserved seating for the concert. Both lunch and dinner are offered at 13 different restaurants. Prices vary by restaurant, but start at $34.99 for lunch (includes appetizer, entree, dessert and drink). Lunch reservations will have reserved seating at the 5:30pm show; dinner reservations will have reservations for the 6:45 or 8:00pm show. Chances are you will be able to get a seat without the dining package, but I want to be sure you knew of the option. Follow this link to see the full lineup. Check out the special Food and Wine version of the Jammitors! If you are not familiar with this long time fan favorite group in Future World, they use garbage cans and put on an amazing drum show, all the while using witty banter to keep the crowd laughing. During the Festival, the garbage cans are put away and metal stoves are used as “drums” instead. So whether it’s your first Food & Wine Festival or your 10th, if you haven’t seen the Jammitors rock out on their stoves you have to give them a look. Check the Epcot times guide for show times as they vary. 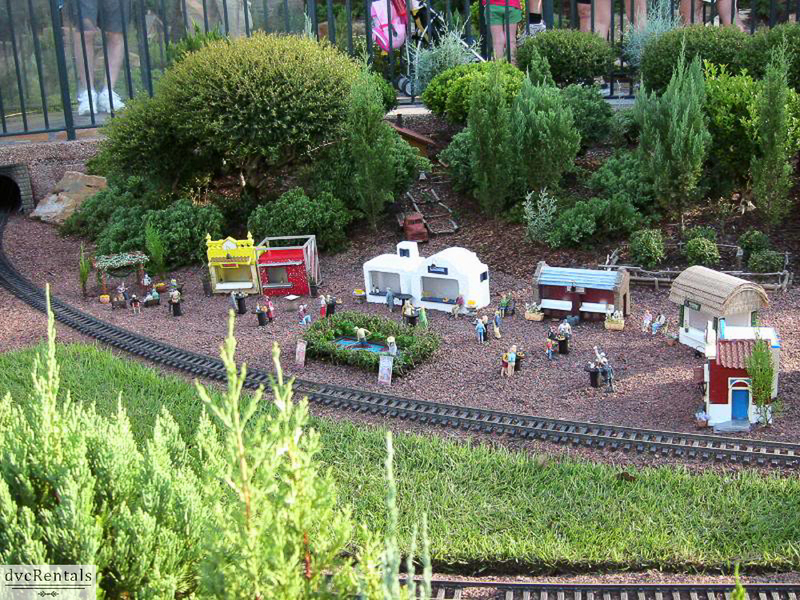 Take a good look at the train display in Germany. 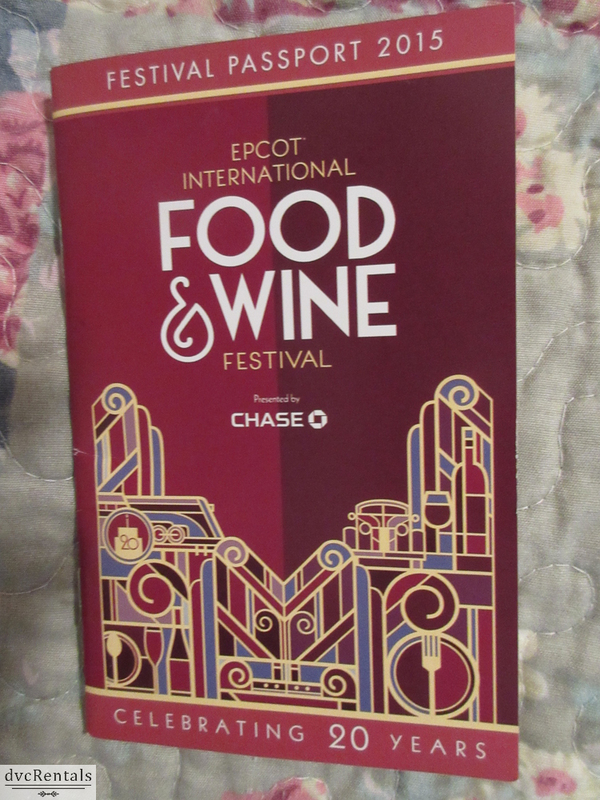 You’ll see a mini version of the Food & Wine Festival inside the little town. Generally, it can be found towards the left side on the front of the display. Visit the Festival Center! As a Cast Member it always amazes me how few guests are aware the center exists. Here is where you’ll find not only most of the exclusive food and wine merchandise, but also cooking demos along with kiosks that offer advice on gardening and home cooking. The center is located in Future World East between Mission: SPACE and Universe of Energy in the former Wonders of Life building. It is open daily from 9:00 am – park close. By the way, there are also kiosks lining World Showcase with Festival merch, but you’ll find the most options at the center. Get a Passport! Another absolutely free bonus to help you enjoy the Food & Wine Festival. Not only will you be able to have fun getting the book stamped at various food booths, the passport is chock full of information and is small and easy to carry around. You’ll find lists of all the food booths and their offerings, the entire Eat to the Beat Concert Series line up, a list of festival events and merchandise offered, and more. Pick up a booklet at one of the kiosks between World Showcase and Future World or at any of the food booths or merchandise kiosks in World Showcase. Not only is the booklet handy, it’s a great souvenir if you get it stamped at the booths. Last but not least, the Festival is able to cater to all sorts of diets. Don’t leave your Vegan or Gluten free friends or relatives at the resort – they can enjoy Vegan/Gluten free food at Terra, one of the many kiosks in World Showcase. 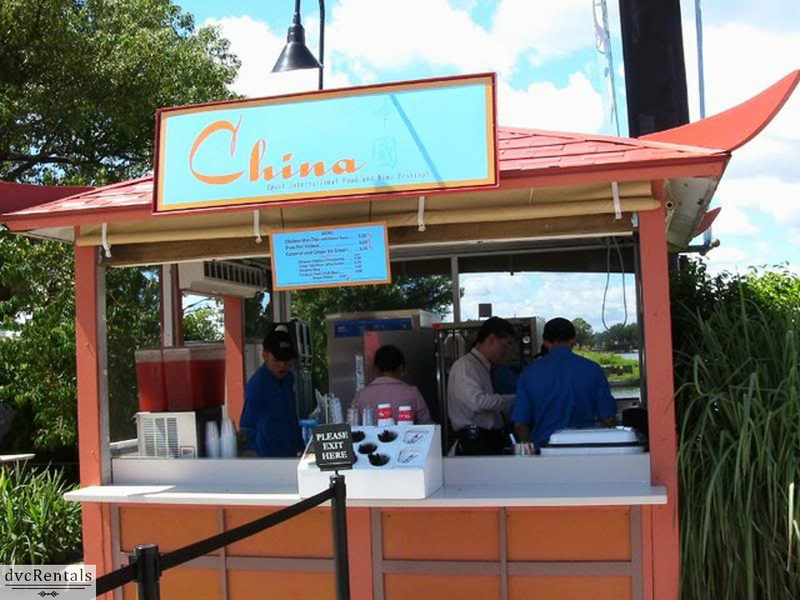 Additionally, 23 of the 36 food kiosks around World Showcase offer vegetarian options. 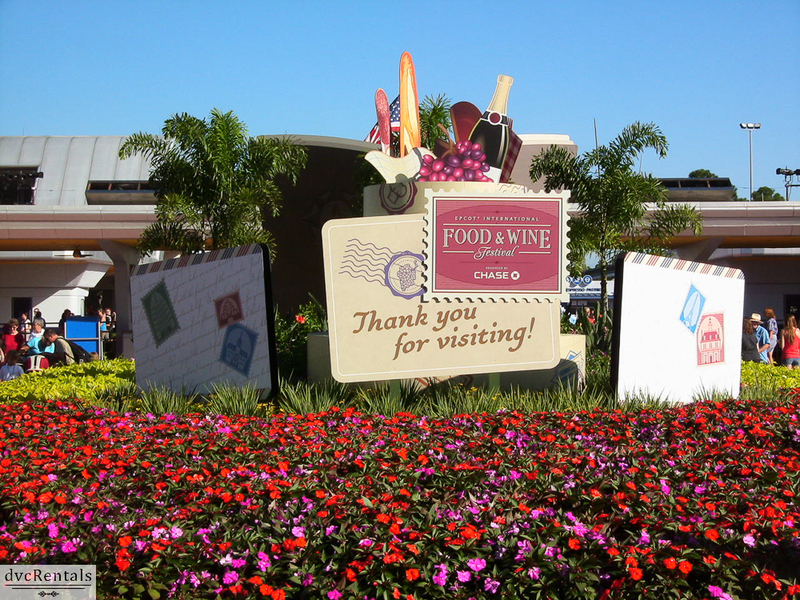 With a little planning you can have a fantastic time at Epcot’s International Food & Wine Festival. I hope some of my tips will help you make a good time even better. Eat, drink and be merry! The Epcot International Food & Wine Festival runs September 14 – November 14, 2016. Follow this link for all of the Festival information. 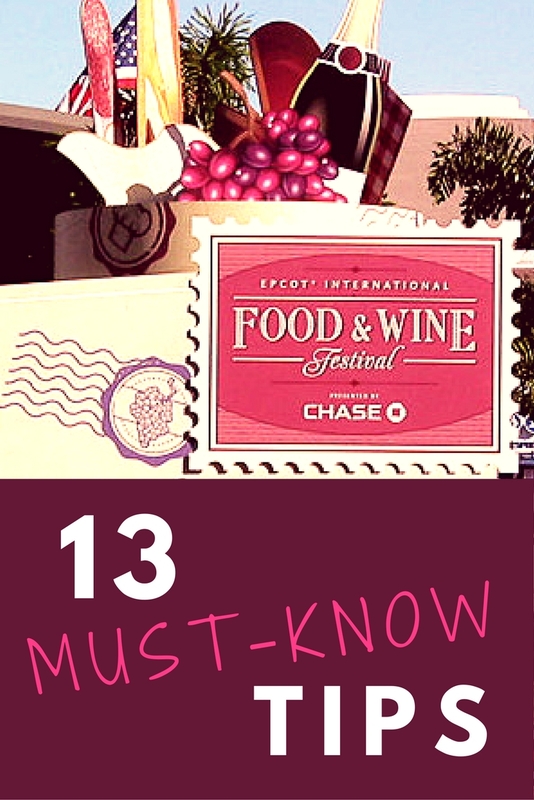 24 thoughts on "Epcot’s International Food & Wine Festival: 13 Must-Know Tips!" That’s cool we will have to check it out! #11 Adrienne Maria Rodrigues Sasha Zabel how did we not know this?? oh, i thought we did but maybe not. Christie Cooper #4, 6, & 11!! Jimmie Jo Lamb you guys would like this. Ok Kelly Edgerton and Scott are going too! Kelly Edgerton we need to go. Something new I’m trying this year is to go in with a set amount on a gift card – once that’s gone, I’m done. Every year I overspend, especially after a few drinks! Buy your gift cards at BJ’s. 5 % discount on them. We can use Disney gift cards for this?? Thank you for the tip!! We have been saving them for our trip. Yep – headed there in September!